For years, I have wanted to enroll in Dave Ramsey's Financial Peace University, but the $99 enrollment fee and the 13 week commitment have always kept me at arms length. I have read portions of The Total Money Makeover and have followed the budget/envelop system on and off since that time. 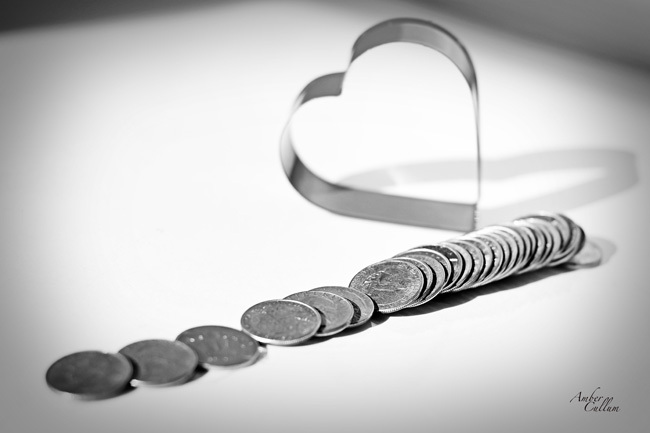 I set up an emergency fund a few years before I met my husband, which has continued into our marriage. However, I have not, we have not been fully committed (long term) to our budget since we got married. Some months we're on. Some months we're off. We have been fortunate that falling off the budget wagon doesn't seriously put us in the negative, but that is not the only point of having a budget. We want to spend our money wisely; therefore, we must have a clear idea of where we are spending it. If we don't like where it is being spent a budget makes it much easier to make changes and it holds us accountable. With that being said, we finally decided to take the plunge and enroll in Financial Peace University if for no other reason than to receive motivation in regards to our finances. We have finished week 2 and let me say, "I AM SO GLAD WE ENROLLED!" Ramsey's videos are not only informative, motivating, and encouraging, they are HILARIOUS! Totally worth the $99. By the way, $99 includes a work book, 13 lesson CD library, budgeting forms, 4 bonus CD's, Financial Peace University book, an envelope system, and a lifetime membership to Financial Peace University (which allows you to re-take the class for free anytime you want and provides tons of online resources). The first week he shared something that I have known, but hearing it come out of someone else's mouth during a serious discussion about money really stuck with me. It is not money itself that is evil. It is the love of money. Money by itself does no wrong. It can not make choices. It does not talk. It does not feel. It does not persuade or convince or encourage or spend itself. No, it is humans who do wrong.......or right. It is humans who take money and abuse it and love it and worship it and spend it and withhold it and give it and invest it and do good with it. Money itself is not evil. What will I do with the money that comes my way? Will I love it? Or will I use it for love? Will I abuse it or will I be wise in not only spending, but giving, saving, and investing? Will I worship it or will I worship the one who gave it to me? Will I spend it haphazardly or will I use the brain God gave me to learn more and make wiser decisions regarding my future finances? Will I withhold it with a clenched fist or will I remain open to God's provision always learning and trusting? Will I be responsible or will I let it control me? Money itself is not evil. The LOVE of it..............IS!! You can read previous Journey of Faith Friday posts HERE. Good luck, Amber! My husband and I started the FPU program a few months ago. We are loving it!! Dave Ramsey is my new hero! I'm blogging our journey to help keep us accountable. If you feel like reading http://the-frugal-family.blogspot.com/ Have a blessed day!! I LOVE Dave Ramsey! I read Financial Peace and Total Money Makeover several years ago. We were like you in sort of, kind of doing a budget and keeping to it. I took FPU by myself a couple years ago at my church, the my husband joined me when we took it again last year (at least on the weeks he wasn't working - shift work). You will not regret spending the money for FPU. We have seen huge strides in our finances since we took the course. I think we should retake the course every other year just as a refresher. I just need to find where to take it next time. I will say we are still not perfect when it comes to budgeting, but we are doing much better than we were before. Huge Dave Ramsey fan! My husband and I went through this soon after we got married which was almost 9 years ago and we still live on cash today. You'll be so glad you did this. Life changing! Wow, I just LOVE that last shot of the money and the heart. you took it right? That is a beautiful shot for that statement/verse!! Love that you are getting so much from the seminar I have heard great things about it from a lot of people! I will put that on my list of things I'd like to participate in sometime soon! Amen! I love that last shot too. I love Dave! He cracks me up every time I watch his videos. It's good, practical sense, and has helped out in so many ways. It's made me look at money very differently. Sounds like things are going great! Such a great post. 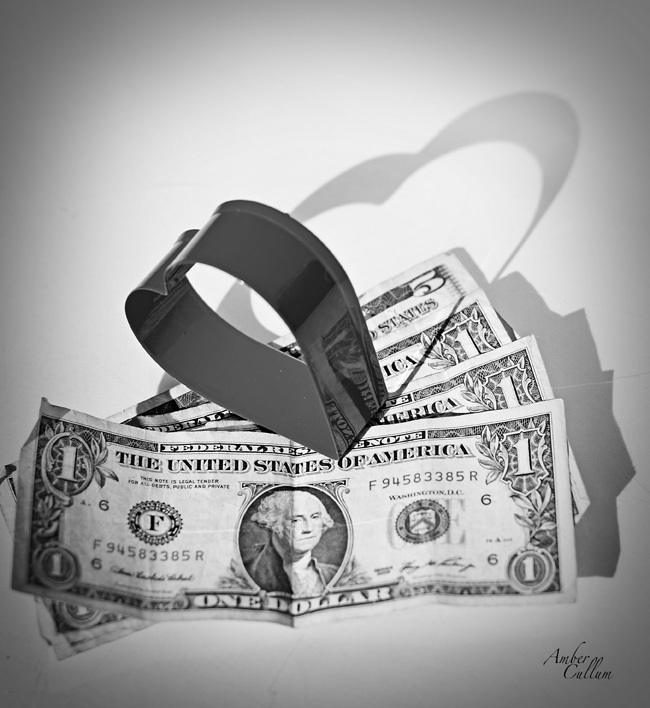 Making the point that " Money is not evil but the Love of it is " is such an important point! I had never heard of Dave Ramsey before you started talking about him. I struggle with budgeting at times as well. I love, that last image and the message you present! Good stuff!